After talking all the trash and posting trending articles about how imperfect other people are, the City girl has finally been exposed. 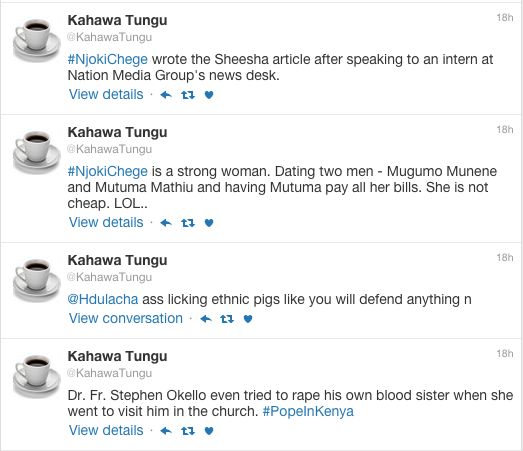 According to a tweet by Kahawa Tungu which is managed by controversial blogger Robert Alai, Njoki Chege is a gold digger. She is said to be dating two guys, one of them for satisfaction and the other for money. According to Alai, the two guys Mugumo Munene and Mutuma Mathiu have been dating the skinny legged author for a while and one of them - Mutuma - pays all the bills. 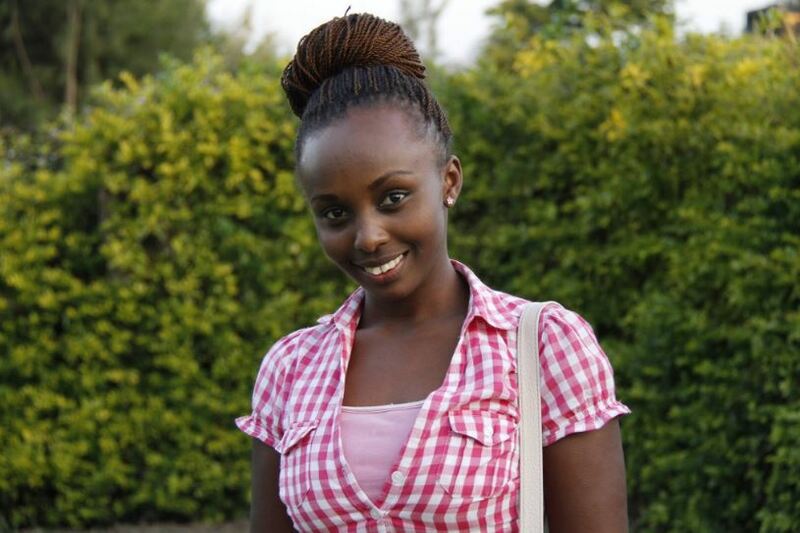 Njoki Chege has been trending for the past two days after her latest article criticised Nairobi ladies who smoke Shisha and drink Guarana, calling them cheap "chips fungas" who can't be anyone's wives. No wonder Munene was divorced by his lovely wife this year. Idiot!